There is a short climb on a track at the start, with the rest pretty much on the flat. The extension to the medium walk starts of with a ½ mile uphill along the road and ends with a downhill on a gravel track. Most of the walk is on good tracks, some gravel and some rough grass and footpaths through fields. After rain, a few bits can be a bit soft. 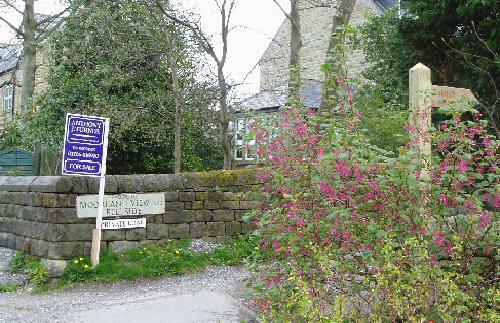 The Top Brink in Lumbutts is at the end of the main walk and the Chapel at Lumbutts sometimes does teas at the weekend. This walk provides wonderful views, you get to see some great examples of 17th and 18th century weavers’ houses at Mankinholes, an unusual water mill at Lumbutts and you may spot some stone sheep and other animals! Before you start, you should print off the Todmorden Connect bus timetable or pick up a copy from Hebden Bridge or Todmorden Tourist information Centre. 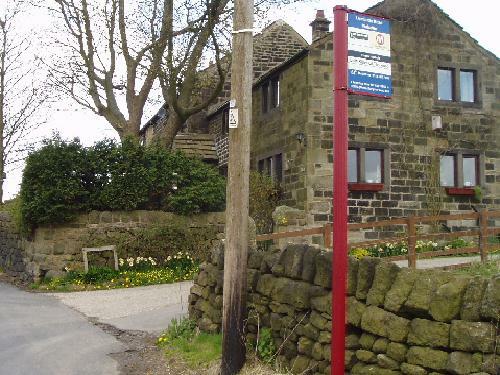 From Todmorden bus station, take the T6 or T8 bus to Harvelin Park and ask to be let off at the Lee Bottom Road stop, just before the bus doubles back on to Harvelin Park. The T6 and T8 buses take different routes, but they both get you to the start of the walk. From the bus stop, walk ahead on Lee Bottom Road, passing the turning to Harvelin Park. After about 300 yards, you reach a track going off to the right sign posted Moorside View. Towards the top, the track turns right to a farm and there you take the rougher track up to the left which after a few yards stops at a stile and gate. 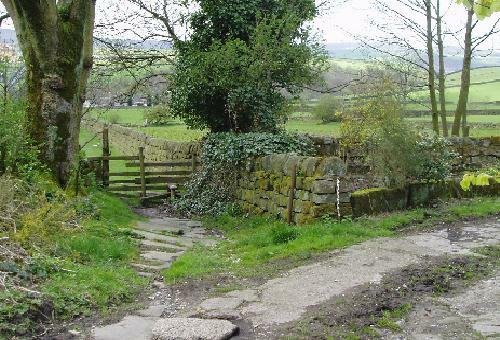 Once through the gate or stile you turn right on to a track called London Road which is the route of the Pennine Bridleway. At this point spend a minute or two leaning on the gate to catch your breath – ahead of you is a fine view of Bacup and Cliviger moors and behind you is Stoodley Pike – not a bad place to linger! London Road is a great track, pretty much flat, following a wall on your right, but with occasional puddles to negotiate after rain. After about ½ mile you come to a gate across the track. If you want to do the one mile walk or you have parked a car at the start, here is the point where you turn right through another gate and it drops you back down to Lee Bottom Road. 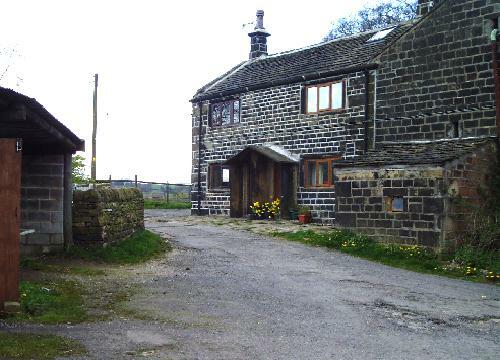 If you are doing OK, go through the gate and stay on the Pennine Bridleway which slightly descends into the hamlet of Mankinholes. Reaching the tarmac road, look left for the stone sheep and right for the unique packhorse drinking trough. Turn right along the tarmac road into Mankinholes passing some wonderfully preserved yeoman clothiers houses which predate the industrial revolution (the Youth hostel is probably the best example). About 250 yards after the Youth Hostel there is a waymarked footpath off to your left by the bus stop. This path is initially a track, but the foot path almost immediately leads off to the left over a wooden stile through fields. The path follows the wall to your right; it can be muddy at first, but gradually the stone stepping stones appear through the grass. At the bottom of the field, you go through another stile, down a short cobbled slope (take care here) into the Top Brink car park. You may want to stay a while here, but remember to carefully check the times of the buses before you leave (you can get either a T6 or T8). To reach the bus route, go though the lower car park and turn right down the road to the bridge. The unusual building on your left was Lumbutts water tower which had three water wheels which powered a cotton spinning mill. It is now part of an activity centre. You can wait for the bus by the bridge (you can hail a bus going either direction) or walk about 100 yards up the road to the bus stop. 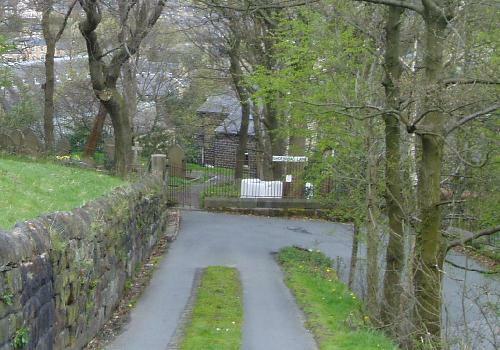 This takes you back to the centre of Todmorden, adding about 1½ miles including an initial ½ mile uphill along the tarmac road. Go up Lumbutts Road from the bridge (ignore the right turning) and after http://healthsavy.com/product/inderal/ about ½ mile you will come to a second bus stop with a waymarked path to Croft Farm going off to the right (however, if you are still thirsty, another 300 yards will take you to the Shepherds Rest pub). Follow the farm track (look out for the stone menagerie) crossing the tarmac yard of Croft Farm (the fine building on your right) and go through a gate. This takes you on to a double walled track. 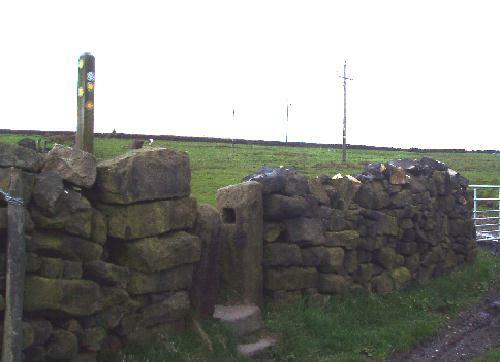 After about 200 yards you will see a very well waymarked stile taking off to the left. After having crossed the stile, the path follows the wall to your left to the top of the field (it can be a bit muddy in places after rain). Go over the stile and keep on the path, now with the wall on your right. Keep close to the wall as it is quite firm because you are on a hidden stone path. At the end of the field you go over a wooden stile and down a slope with the wall still to your right. On this stretch, you get good views of Todmorden and Cliviger wind farm. At the bottom of the slope you go through a small enclosure (two wooden stiles here). You now need to follow the path towards Higher Longfield Farm which is ahead and a bit to your right. Aim for a stone gatepost about half way and then to the left hand edge of the farm house (you may need to pick your way across as it can be quite muddy after rain). As you get nearer the farm, the wooden stile is pretty obvious. Turn right on to the track into the farm (Rough Side Lane) which immediately bears left in front of a cottage and then immediately right – at this point you will see a waymarked path going off to the left through a field towards some farm buildings (now an equestrian centre). If you miss this path, the track will take you down to the Longfield housing estate and it is quite easy to get back to the centre of Todmorden. Having crossed the field, go over the wooden stile through the equestrian centre, exiting through a metal gate at the end. Go straight ahead along a track which bears left. After about 100 yards turn sharply to the right by some out-buildings down a mainly gravel track – this is called Shoebroad Lane. The track drops down quite gently, with a short stretch of cobbled road until you come to a terrace where it becomes a tarmac lane. If you look ahead across the valley the strange building is Dobroyd Castle which is now a buddhist centre. Dropping down the quite steep tarmac road, you will see the spire of Todmorden Unitarian Church in front of you. As the lane begins to zig zag down, you have the option of taking the zig zag path through the church yard, but it is quite steep in places. Whether you keep to the road or go through the churchyard, you end up at the bottom of Honey Hole Road with the Golden Lion ahead of you. From here is is a short stroll back into the centre of Todmorden. To get to the start of the walk, you need to go up Shaw Wood Road. This is a left turn off the main Hebden Bridge to Todmorden road – about 3 miles from Hebden Bridge (or if coming from Todmorden, it’s on the right about a mile from the centre). The turning is by a bus stop and is signposted Lumbutts and Mankinholes (and youth hostel) with a smaller sign Shaw Wood Road leading to Harvelin Park. Shaw Wood Road crosses the river and canal and winds steeply upwards through some woods, ignore the turning on the right (New Road) until you reach a housing estate where you turn left into Lee Bottom Road. The start of the walk is just past the bus stop. You can do a one mile walk as explained in the instructions above. If you want to walk to the Top Brink pub (the main walk), you can return to your car by walking back on the road (turn left out of the car park). It is quite a pleasant zig zag walk with a second chance to walk through Mankinholes. After Mankinholes, the road does a sharp right, down a hill to a junction where you go right (the left turn drops down Shaw Wood road into Todmorden) and then you turn left back into Lee Bottom road. Watch out for cars and farm traffic when walking on this road.